Website visitors are measured to look the popularity of websites and individual pages or sections within a website, so if you aren't receiving plenty of high-quality site visitors then all of it counts for nothing! 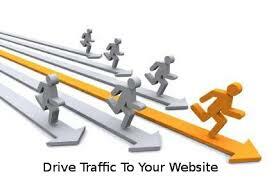 I will send 10,000 often visitors daily for 24hours only for $1. NOTE: No referral link at all pleassssse!!!! 10,000 Adsense Safe Traffic To Your Site is ranked 5 out of 5. Based on 43 user reviews.